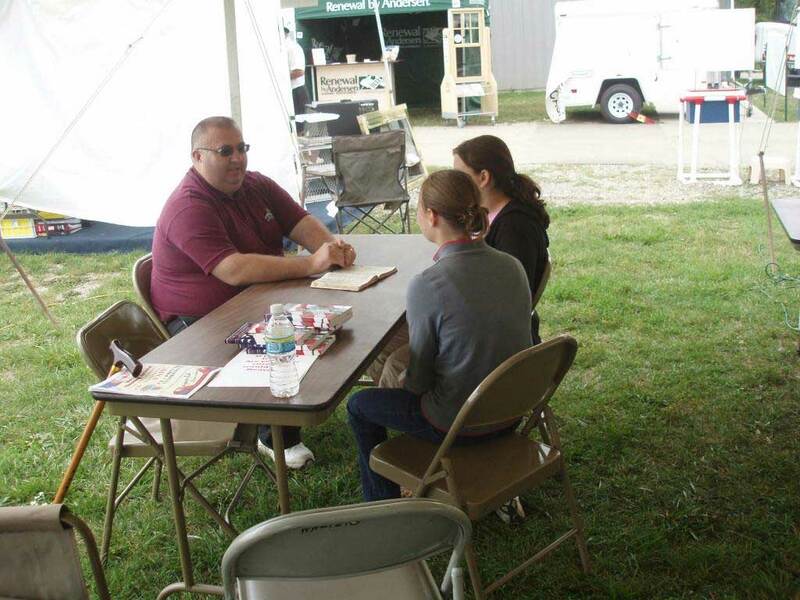 In 2008 the pastor of Charity Baptist Church (now of Oxford, Michigan) approached the pastor of First General Baptist Church of Waterford with an evangelism idea that he had done with other churches in Ohio. The idea was simple, set up a tent in a local fair and ask the passers by if they knew where they were going when they would die using a simple viewfinder and box (hence the ministry name). If the answer was no, then take an opportunity to share the Gospel. The question was, would people stop by? Would they care to listen? Would they respond to the Gospel? Not only did people stop by, but they lined up to look inside the box! 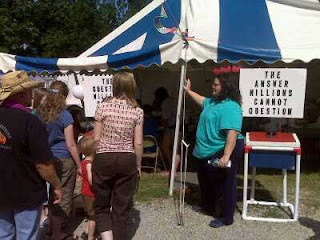 Not only were they lining up to see "the question," but they wanted to come inside the tent to find out the answer too. That first year laypeople from both churches shared the gospel with people from every walk of life. 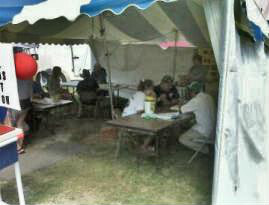 God brought 527 to His salvation in less than one week! Could it truly be that simple, asking people if they want to go to heaven, then telling them the Gospel? The fact of the matter is most people don't know where they will go when they die. And even in this day and age people are still desperate to find out how they can go to heaven. People need to know the Gospel, they need to know that Christ died for them. We must tell the world there is a way that they may go to heaven. Will you help us? Will you tell them? We need Prayer Warriors! 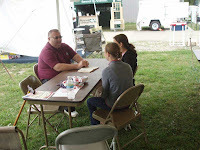 Commit to pray for our fairs this summer. Sign up for E-mail UpdatesFollow our Facebook Page or Twitter Feed.